Raritan Township Mayor Craig O'Brien, with the support of most of the Township Committee, has stirred up discussion of a possible merger of Raritan Township and Flemington Borough. The Nov. 3 ballot will ask Raritan Township residents if it's worth discussing further, and in Flemington, the topic is on the agenda for Monday's Borough Council meeting. As noted by O'Brien and others, the reunification of the municipalities is on old idea that, over the years, has achieved varying degrees of consideration. One of the campaigns that went further than some of the others was undertaken in the 1960s and culminated in the production of a quaint volume titled "Merger of Raritan Township and Flemington Borough," published in 1968. Residing in the main county library, it is a 99-page feasibility study by Public Administration Service of Chicago, a consulting and research firm, hired jointly by the township and borough. 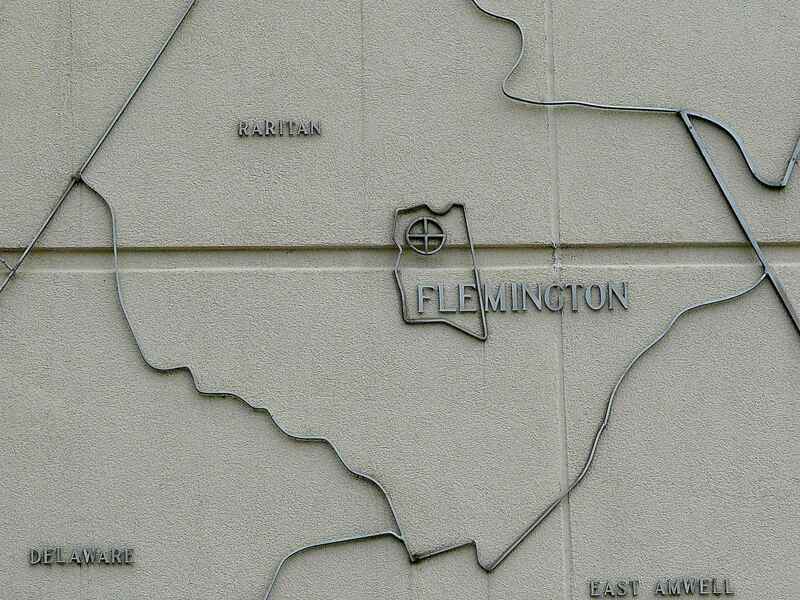 PAS examined old newspaper reports to learn why Flemington had originally voted to secede from the township, a feat that was completed in 1910 by an act of the Legislature. "1. A desire to control the quality of education in the community. "2. A feeling that a disproportionate share of local taxes were being allocated for projects in remote areas of the township. "3. A desire to bring industry into the area." After the split, the new borough concentrated on developing its schools and its infrastructure and attracting "commercial and industrial enterprises." The township remained agriculture, "although in the late 1940s and early 1950s, as available land in the borough started to become scarce, a significant number of residences and industries began to locate on township lands surrounding the borough." By 1968 the two municipalities had begun their history of shared services. They shared a municipal court, a sanitary landfill on Pennsylvania Avenue, and, starting in 1947, an elementary school system. The study was done as Raritan Township was beginning its shift from primarily agrarian to primarily residential/industrial. PAS wrote: "In such areas as zoning, recreation, public works, public safety and education, the decisions made by local governing bodies will ultimately determine the kind of environment that will exist 20 years from now. Finally, because of the close physical, cultural, and economic relationship of Flemington and Raritan, it is imperative that the decisions made by one local governing body be consistent with those of the other; if not, chaotic development will result." The report examines all the municipal services and departments, including the police departments. At the time, Flemington had a six-man force, while Raritan Township was just fielding its first full-time cop and planning to add a second one. PAS predicted that in a few years "there will be two police forces with nearly identical staffs, equipment and facilities operating side-by-side. A consolidated force would feature "only one police chief instead of two, one communications system instead of two, and one headquarters instead of two. Additionally, a unified police force would permit a common approach to police problems." The report says, "Joint agreements can be successfully applied to such mundane functions as water distribution, sewage treatment and refuse disposal. However, they are less likely to succeed in such dynamic fields as police protection or planning and zoning. Here, only a single authority could assure a consistent level of performance throughout the entire area." Efficiencies and economies of size are predicted and enumerated, and at the very end, PAS says, "In conclusion, it is evident that the forces of change have been set in motion. It can only be hoped that the residents of Flemington and Raritan and their elected officials possess enough insight to put aside their imaginary differences, realize their common interests in the future development of the area, and work together to create a truly great community." Apparently this invitation has not yet been accepted.